For 4 years a friend of mine (Volunteer at MahaJiban) was seeing this old woman at Srerampore station subway when going to work. She did not have proper clothes, food, and shelter. 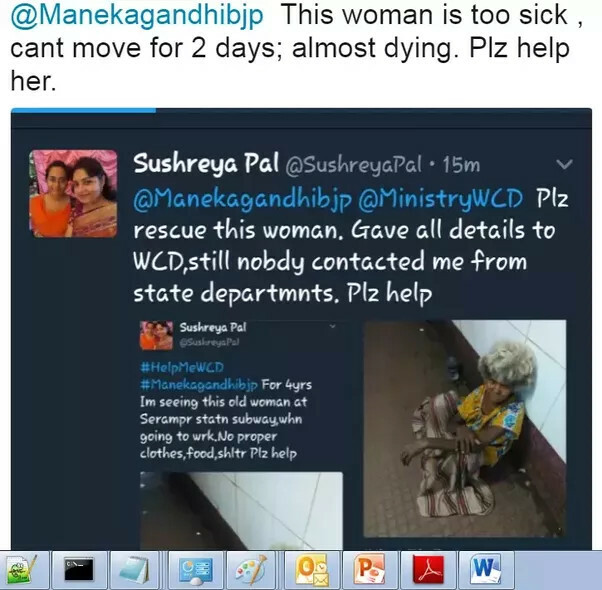 One day she found the woman too sick, almost dying. She could not ignore it anymore. She decided to save her. But this time no one responded for days , for some unknown reason. My friend called 181 woman's helpline. They didn't listen. Dialed 100 , police didn't pick up. My friend and Arijit Banerjee also are friends. Arijit is involved in various social works (he is a teacher by profession). He came to see the unconscious lady in the rail station. Arijit requested passers by, police, CRPF to help him to lift the unconscious woman. 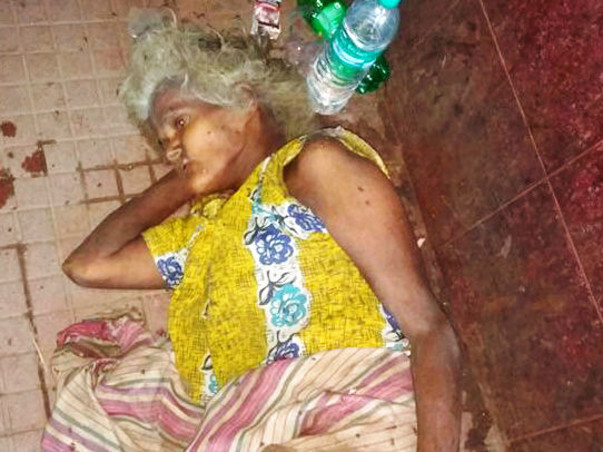 None helped him just by holding the dying lady, they thought it will cause trouble to them. Passers by friends avoided. He stood there for 2 hours before a food seller young man came and helped him to carry the lady. Local rickshaw puller didn't want to carry the unconscious woman to hospital in the fear of getting involved. Some did not want to go as they may not find passenger for their return trip. Finally a rickshaw puller agreed after Arijit paid a very high price to carry her to hospital. In Hospital a nurse could not resist vomit after getting the smell and condition of the woman . 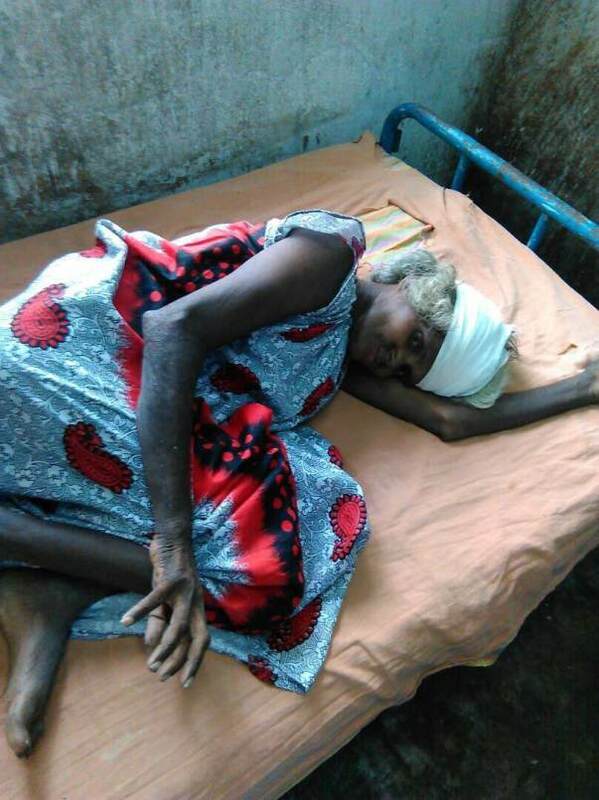 Hospital authority didn't want to keep her as she don't have any address. Arijit had to provide his home address then only they agreed. 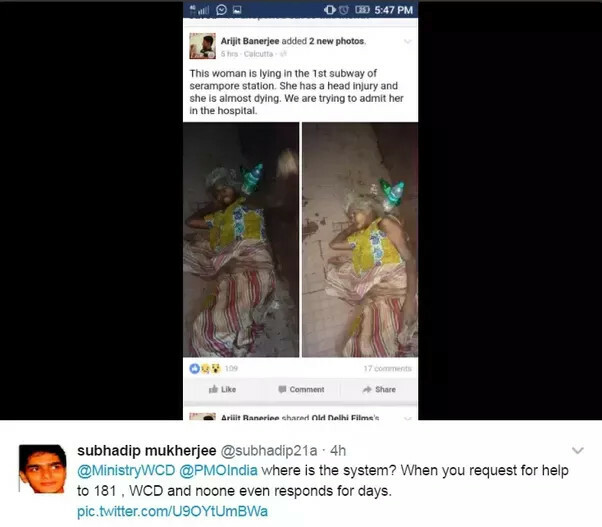 Medical team saw the ladies open head with maggots and asked Arijit "Who will take care of this lady ?". 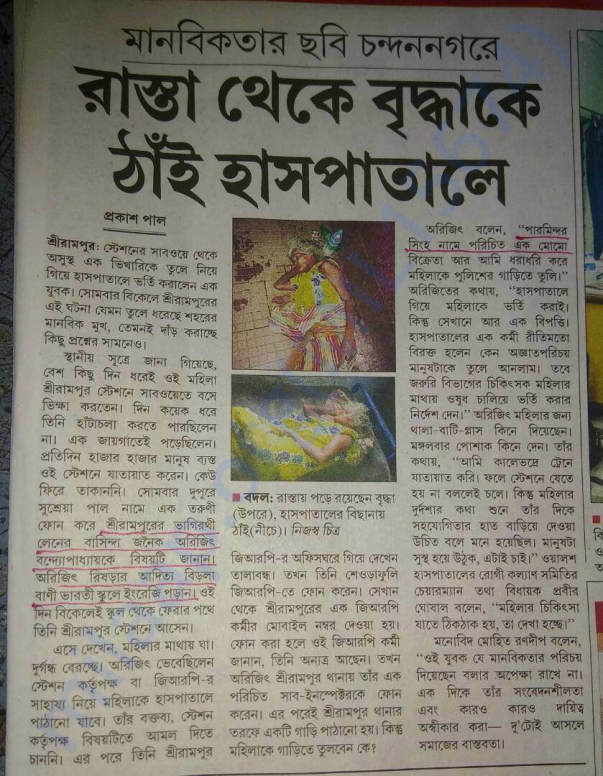 Finally Arijit was able to admit her to hospital and there is a requirement of funds for her treatment..
Arijit's great effort has been published in newspaper "Ananda-bazar"
Thank you for your never -ending support. Janani is now fit and fine. 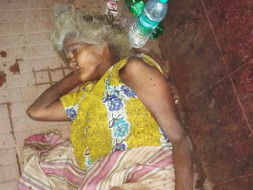 She has been shifted to old age home in barrackpore. She is happy there. 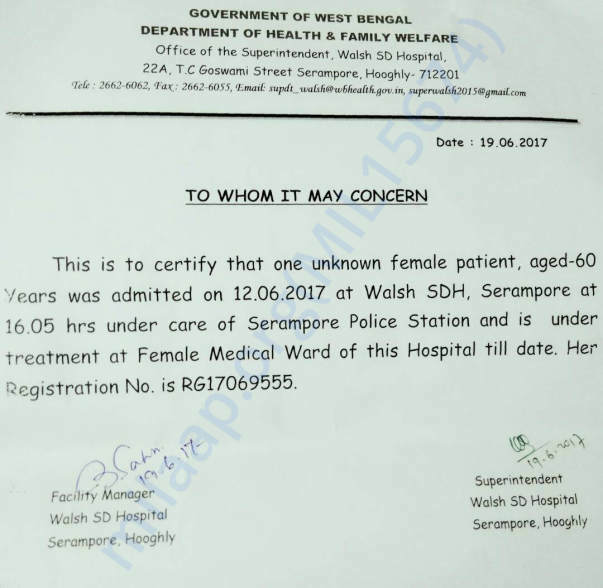 It's almost 1 year that we rescued Janani, almost dying from Serampore railway station subway. From there we treated her, kept her in a shelter with foods and a person for caring. Now we have found a good shelter for her to spend the rest of their lives in dignity. 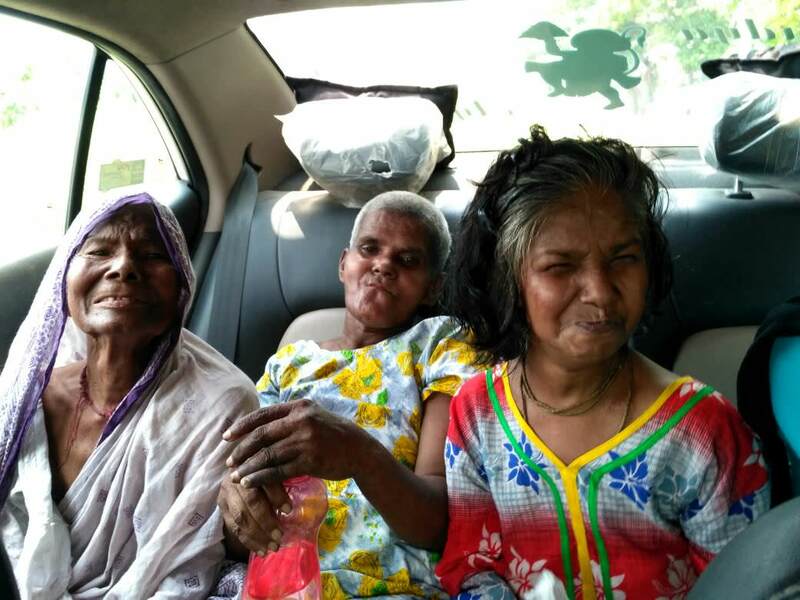 After a long struggle for finding a shelter, we have shifted her along with 2 more rescued ladies to Avenue women's cultural and welfare society , situated at Barrackpore. Great job guys..keep it up! !